Our October workshop has been postponed do to weather. It is rescheduled for November. 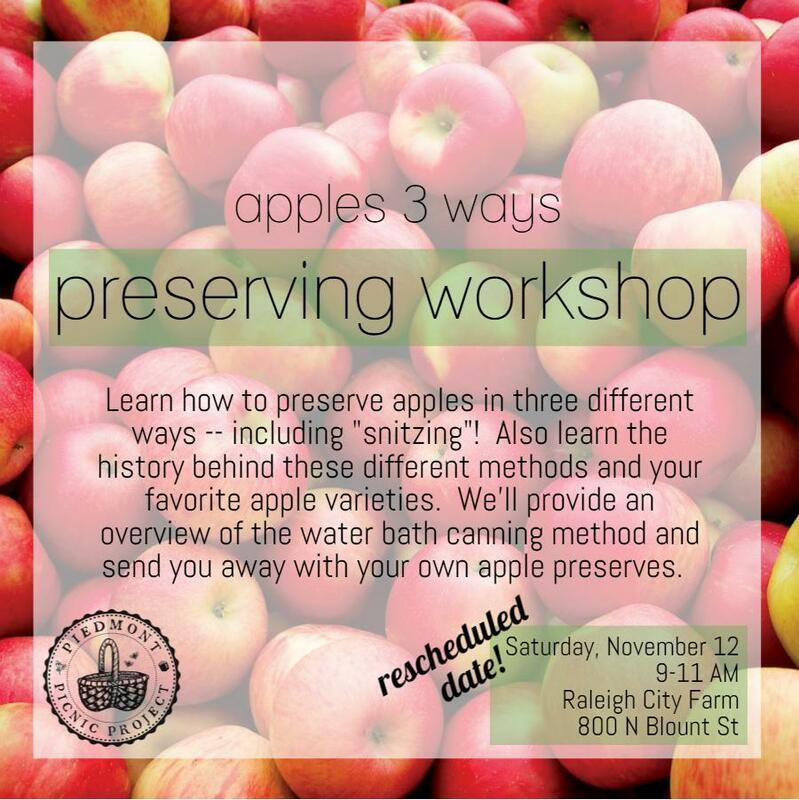 Our November workshop in our Fall Class Series at Raleigh City Farm is Apples 3 Ways: Preserving Workshop! Interested in learning to preserve the fall bounty of apples all year long? We’ll show you three delicious ways and teach you the history behind these methods and some of your favorite apple varieties! Information will cover how to preserve apples three different ways — including “snitzing”! Techniques generalize easily to other fruits! You will leave with a solid overview of how to use the water-bath canning method. We’ll send you home with a jar of apple preserves that you help make!